** Another new fish added: Scissortail Sergeant! 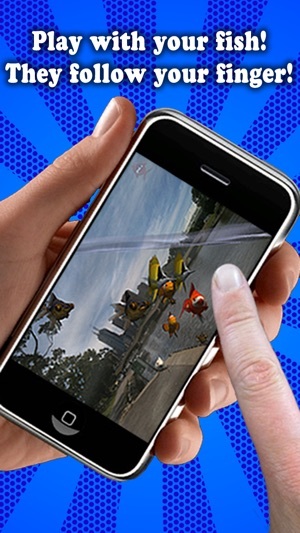 Watch as your iPad, iPhone or iPod Touch fills with water and real 3D fish begin to swim around your iPhone or iPad screen! - Too many aquariums claim to be 3D, but they're just flat picture of fish floating around your screen being boring! Fish Fingers has REAL 3D FISH! They swim in all directions and can be viewed from any angle! They're really 3D! 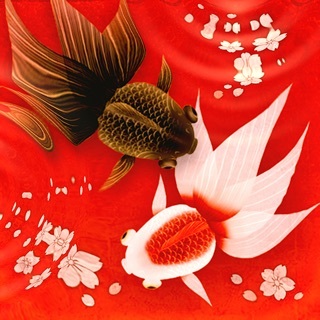 - DOWNLOAD NEW FISH! Connect to the net, select the download option from the menu, select the fish you want, and within seconds it's inside your aquarium! Easy! 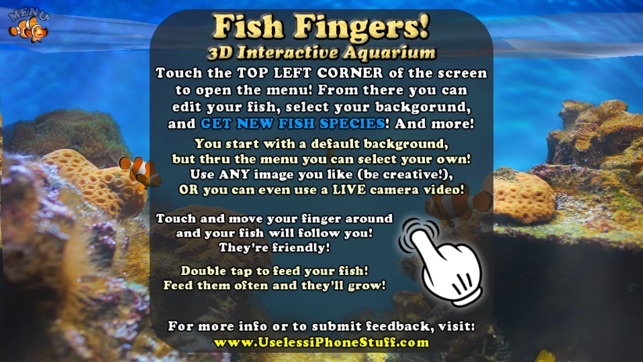 - INTERACT WITH YOUR FISH! Touch the screen and watch the fish follow your finger. 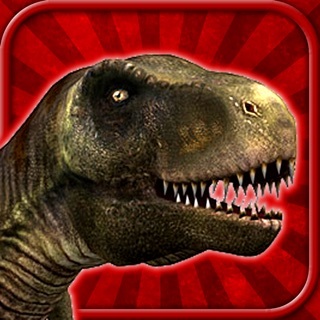 Double tap the screen to feed them, they'll slowly grow if you do! 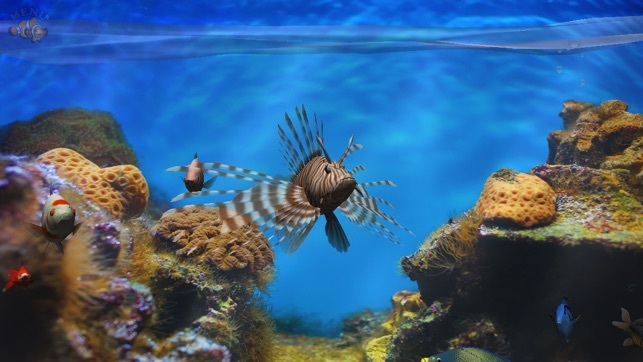 - Use any image you like as the background to your aquarium! 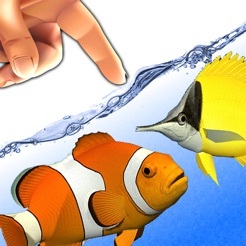 Simply select any image from your photo library and it'll look like your iPhone is full of water, and full of 3D fish! See what your Aunt Mable looks like with fish swimming out her ears, or what your car would look like underwater, or your cat, your messages, any image you want!! Want more ideas? Visit: www.UselessiPhoneStuff.com! - Tilt your iPhone, watch the water move! Just like that time you tried to pick up your real aquarium and all the fish fell out, but... not! 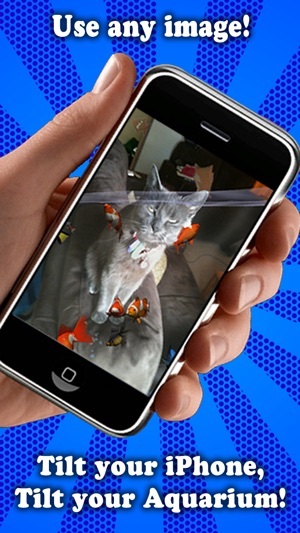 Visit www.UselessiPhoneStuff.com for more info, and drop us a line if you have feedback! Bug en plus. Impossible de changer le fond sans que l'application plante. 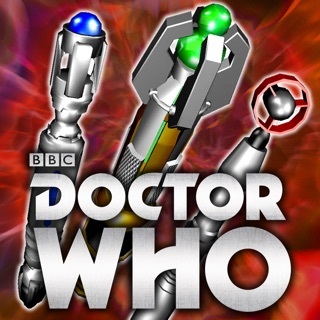 Nécessite iOS 4.3 ou une version ultérieure. Compatible avec l’iPhone, l’iPad et l’iPod touch. Apple TV. 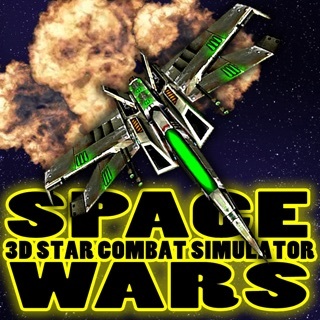 Space Wars 3D Star Combat Simulator: FREE THE GALAXY! 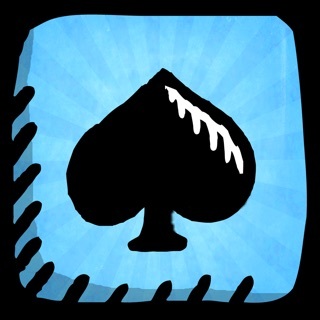 Solitaire Time - Classic Solitaire Anywhere! 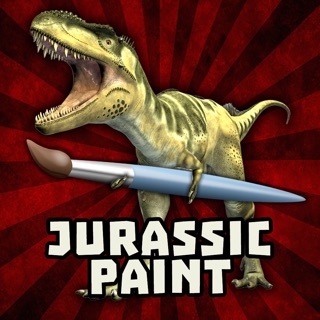 Jurassic Paint - Add Dinosaurs To Your World! 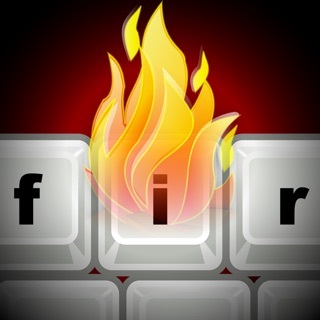 Fire Keyboard - Draw Flaming GIFs! Heat Pad - Relaxing Heat Sensitive Surface!